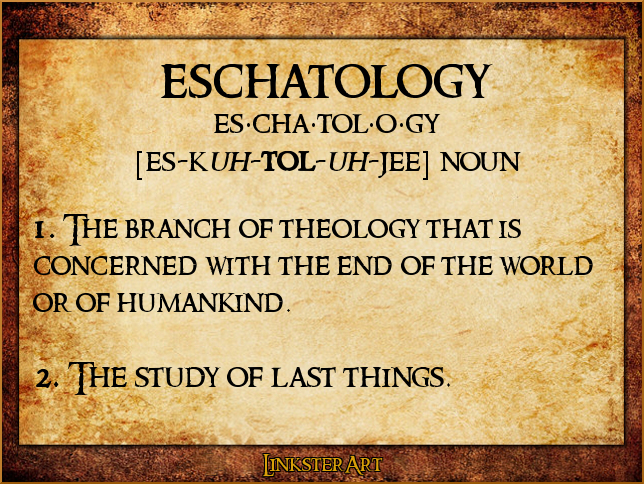 Eschatology is much more than a five-syllable word. 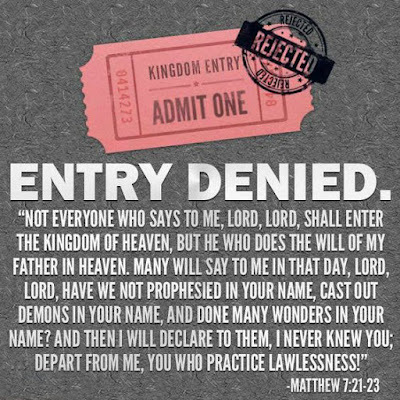 Jesus told them, “Don’t let anyone mislead you, for many will come in my name, claiming, ‘I am the Messiah.’ They will deceive many. And you will hear of wars and threats of wars, but don’t panic. Yes, these things must take place, but the end won’t follow immediately. Nation will go to war against nation, and kingdom against kingdom. 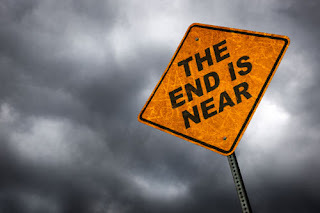 There will be famines and earthquakes in many parts of the world. But all this is only the first of the birth pains, with more to come. Granted, global history is rife with accounts of man’s inhumanity to man for reasons as numerous and as varied as the snowflakes that fall on a cold winter’s night. While some have been more horrific than others, none can nor will compare to the coming slaughter of any and all who dare claim that Jesus is the Christ; the ‘King of Kings’ and ‘Lord of Lords’. Ever since Cain slew his brother Abel, we have been moving toward the inevitable climax as described in the Jewish Tanakh and in the Greek New Testament. Some people believe they (the church) will not have to endure the trouble that will come prior to “the end of the world”. They have fallen for the deceptive teaching that the church will be secretly whisked away just prior to everything hitting the fan. 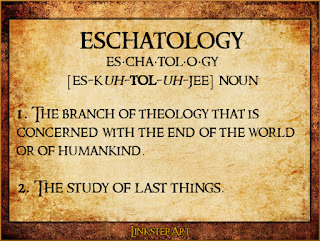 They call it the rapture and use a passage in 1st Thessalonians 4 as their proof text. Problem is, they are applying eisegesis to the text, not exegesis. Additionally they are taking text out of context and stretching the truth. In this case, they are completely ignoring other text in the Bible that clearly states otherwise. Of course, these are the same people who believe we all go to heaven when we die — all based on a select verse or two. Unfortunately, many people are going to be in for a big surprise, and it will not be in the least bit, pleasant. I am not going to “proof-text” my remarks. I trust that the majority of people reading this have a Bible they can read for themselves. I will, however, encourage everyone who reads this to not believe every teaching that comes from a supposed Christian teacher / pastor / commentary / etc. Additionally, I encourage everyone reading this to “use the good sense God has given us” to avoid ‘piecemeal theology’ and consider ALL the Bible in context, from the first verse in Genesis to the last verse in Revelation. Take the time to investigate what you have heard from others. Check to see if what you have been told and/or taught is absolutely true, and not simply a traditional school of thought. Find out the meaning of the original Greek and Hebrew words. Find out which sources Bible publishers use (Masoretic, Septuagint, Received Text, etc.) and why. Due diligence goes a long way when it comes to studying the Bible. If you haven’t done your homework already, you will be surprised to learn how many different ways a certain word is translated throughout the text. For example. LOGOS — which means ‘thought’ — is translated and given a different English word later on in John’s gospel account. But how many people are even aware of that fact or even care? Very few, at best. Those who do not know their Bible and fail to gain a good understanding of it, will die in ignorance and risk misleading others into that same ignorance. Do you really want that as part of your lifetime resume? Remember, Jesus said EVERYONE will be held accountable for what they have said in their lifetime (and the heart they said it with). Are you absolutely positive that you know the Bible inside and out? Can you trust what man — who has but a breath in him and then is gone — tells you? Are you sure that what you are parroting is God’s truth and not simply something you heard or read without verifying the veracity of the content? Have you taken the time to search the scriptures to see if it is an accurate teaching? Or are you simply going with the flow because you are full of fear? Are you afraid that if you question something you might be called a heretic for not being a good, unquestioning, goose-stepping Christian soldier? Are you wearing God’s armor of truth or are you wearing “contemporary designer theology”? Those who are still reading this may think I am being harsh and way over the top on this issue, but am I really? We are talking ETERNAL LIFE OR DEATH here, are we not? Do you really want to simply roll the dice when it comes down to where you will spend eternity — with or without God? Are you looking forward to heaven so you can reunite with your loved ones? Or are you looking forward to being in the presence of your Creator? Which is more important? What did Jesus say? A large crowd was following Jesus. He turned around and said to them,“If you want to be my disciple, you must hate everyone else by comparison—your father and mother, wife and children, brothers and sisters—yes, even your own life. Otherwise, you cannot be my disciple. And if you do not carry your own cross and follow me, you cannot be my disciple.